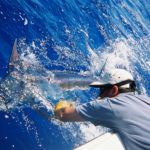 From June through October near shore tarpon trips can be the most exciting and unbelievable experience that I have to offer. Tarpon off of the Texas Gulf Coast are as big as any in the world excluding Africa. 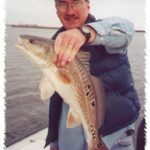 In August ’99 myself and customers leadered a 209 pound tarpon, the fish was 7 feet 2 inches in length and took 95 minutes to land. 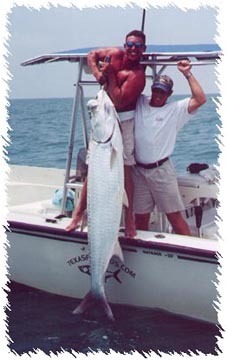 Tarpon fishing out of Port O’Connor is something we enjoy every summer as they migrate down the Texas Coast. The tarpon are fierce, acrobatic fighters that have staggering power and endurance. Blacktip, spinner, and bull sharks are thick in the tarpon waters out of POC and it is not uncommon to catch them over 100 pounds. All of the sharks put up fabulous fights with even aerial jumps from the spinner sharks. 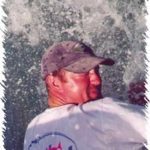 Kingfish are also a common by catch while we are tarpon fishing, many times they hit the lures that we are casting to the tarpon!